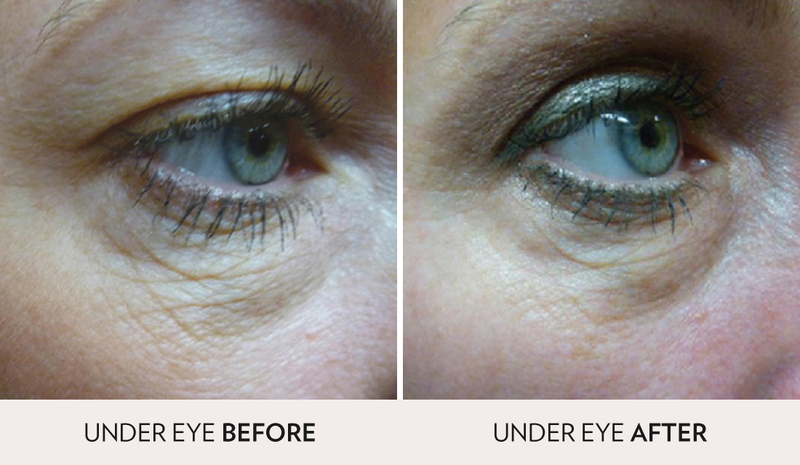 SkinTyte™ is one of our most requested treatments at Spa Radiance Medical for its nonsurgical tightening superpowers. Using targeted infrared energy, SkinTyte™ stimulates collagen remodeling and contraction with virtually no pain or downtime. Our clients love their SkinTyte™ results so much, they often end up treating multiple areas: cheeks, jowls, neck, around the eyes, back of arms, thighs and abdomen. Our nurses recommend a minimum of 4 treatments every 3-4 weeks for maximum results. Expert tip: Our patients love complementing their SkinTyte™ with Forever Young BBL™ sessions which are proven to rejuvenate the skin and remove age spots, freckles and redness. Stop using Retin-A, and retinoid containing products, exfoliating sponges/scrubs, glycolic, alpha and/or beta hydroxyl acid and vitamin C at least 24 hours before our treatment. No Accutane for 6 months before treatment. Avoid all sun exposure for 48hrs prior to treatment. Avoid tanning or tanning creams for at least 2 weeks prior to treatments. Use of any aspirin, ibuprofen, and other anti-inflammatory or blood thinning medications may increase the risk of bruising. Please consult your physician. Start an anti-herpetic medication 48 hours before treatment if you have a history of cold sores/ herpes. A cold compress can be used to provide comfort if the treated area is especially warm. i.e. Extra Strength Tylenol or Advil, may be used. If the skin is broken or a blister appears, apply an antibiotic ointment and contact the office immediately. Keep the affected area moist and avoid direct sunlight. Delayed blistering secondary to sun exposure has been noted up to 72 hours post treatment. Strictly avoid any sun exposure to the treated area for a minimum of 7 days after the procedure. The treated area is more prone to sunburn and pigmentation change. Keep the area covered and use a sun block with an SPF30+, reapplying the sun block every two hours. SkinTyte improves the appearance of sagging skin. It uses infra-red light to deeply heat dermal collagen. This advanced technology initiates the body’s natural healing process which leads to a more youthful appearance — with no downtime, no need for a topical anesthetic. We can count on SkinTyte as one of the safest ways to give you a younger-looking skin. The combination of dermal heating and epidermal cooling in SkinTyte keeps you comfortable throughout the treatment, while using rapid, gentle energy pulses. The treatment provides uniform heating for excellent, consistent and predictable results.